March 23, 2015 March 27, 2015 by Beau H.
Want to wear more blazers, especially this spring and summer? Start here. Blazer by J. Crew. Blue dress shirt & floral pocket square by J. Crew Factory. (Old) glasses by Burberry. I received a question from a reader last week who had a New Year’s resolution to start wearing more blazers (way to stick to your guns! ), but was having difficulty finding options to beat the Texas heat. This brought to mind two things: #1: Nice! Wearing more blazers is an easy way to add some polish to a look and even bring more variety to outfits you normally wear. And the #2 was this: Wearing a blazer, especially in the heat, is a somewhat tall order — so I rounded up some great warm-weather options (these could also feasibly work in slightly chillier weather with heavier layers, too). Read on and let’s get blaze — blazer-ed? Yep. A lighter blue that’s no less versatile than its darker counterparts. 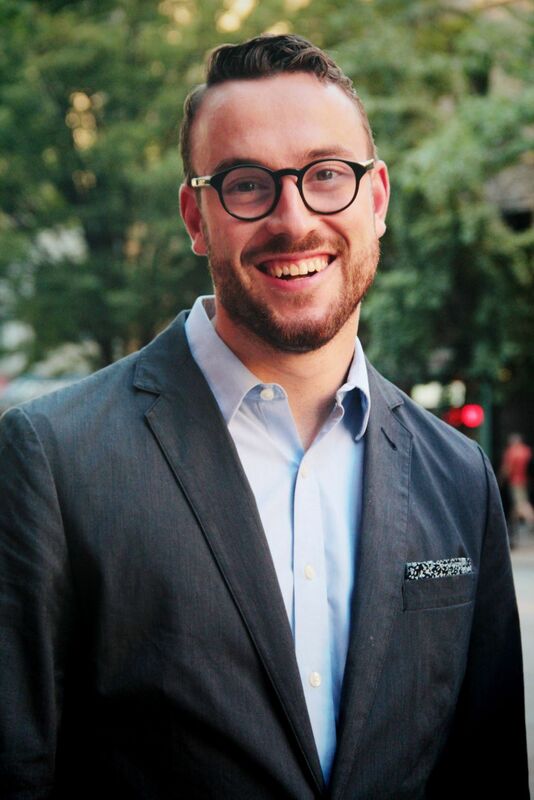 This blazer (or is it a sportcoat?) tops the list by a good amount. The lack of construction and a partial lining makes it breathable & lightweight, for starters. 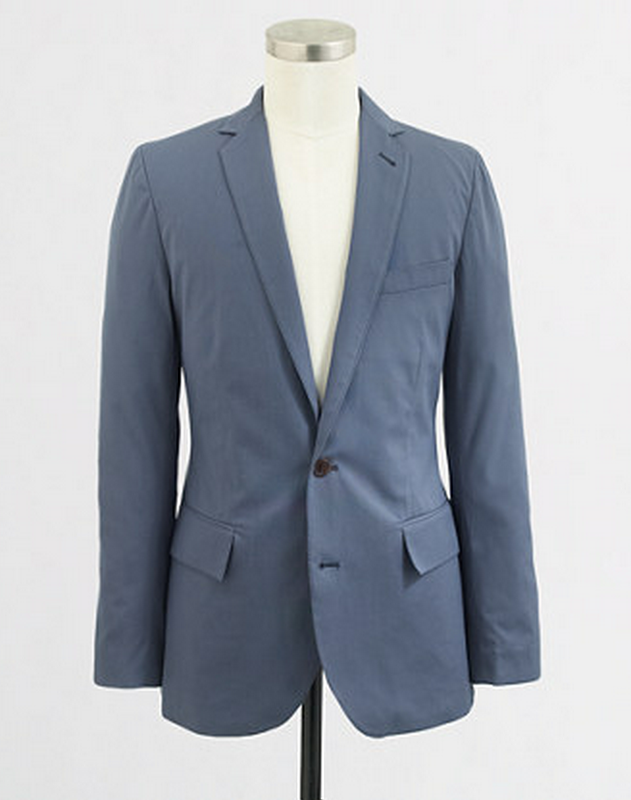 And the color is a unique, more washed-out blue that seems to be all the rage in the sportcoat game. Last year’s version got big ups from my pals over at Dappered, and if this version is just as good, it should be very wearable with everything from grey chinos to dark (and light) denim. The price here is very achievable and could drop even lower on-sale. Either a more striking plaid or a regular navy, take your pick. 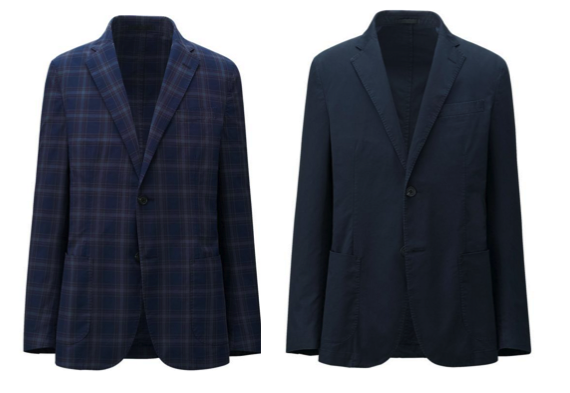 Uniqlo’s blazers seem to stir up some divisiveness as far as fit & quality — some like the lightweight feel, slimmer fit and shorter tail (making them more casual), and others prefer something a little sturdier and with a classic cut. While the plaid option adds a great shot of pattern over a neutral base, the deep navy alternative is about as classic as it gets for a blazer. The price on either of these isn’t too high, so it could be worth taking the plunge on the plaid blazer if you want to throw some variety into a standard white OCBD— dark denim look. Super affordable and super lightweight. To start, the price here is eye-poppingly low. Target’s been doing a lot when it comes to men’s style over the past year or so, and the Merona line has been a nice catalyst for that. 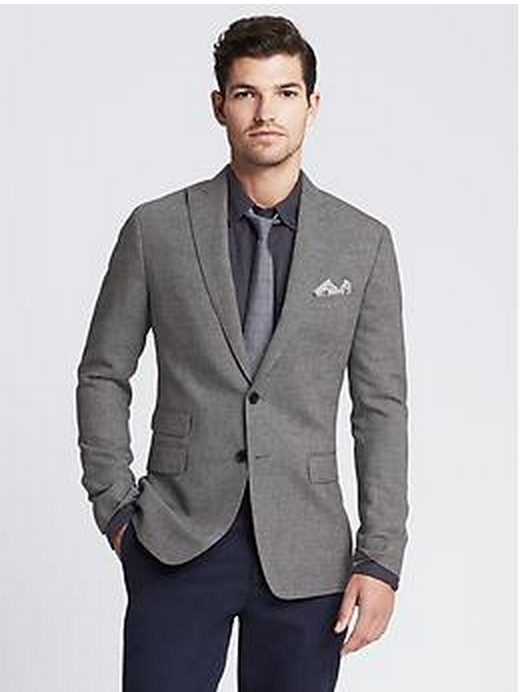 This all-cotton blazer is unlined and actually fits pretty trim off the rack based on an in-store try-on. It’s available in four color options, but the light grey version could be the most versatile. If you want a blue option with a more workwear-type look, this navy jacket just went up on the site last week. Again, quality won’t be insanely high for a $30 piece, so this is a jacket that can get beat up a bit with little worries. A warm-weather staple from a relatively new online retailer. Sharp peak lapels & a ticket pocket on a cotton-linen blazer. The reason this piece gets bumped so far down this list is the price — that’s a bit spendy, especially when considering the cotton-linen blend doesn’t really work in this. BR’s outerwear and blazers seem to be the brand’s strong points though, especially as of late. This jacket’s got a couple neat features — peak lapels and a ticket pocket, along with some nice depth to the fabric. You could definitely wear this with dark denim, lightwash jeans and olive or khaki chinos. 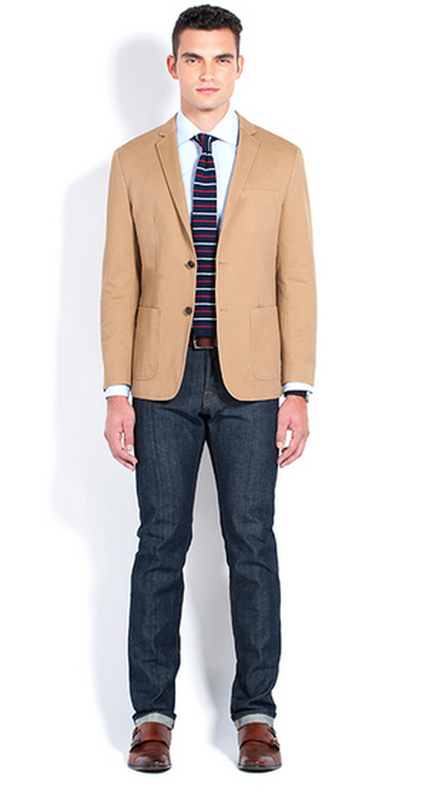 BR is also offering a khaki twill blazer that would presumably be the higher-quality counterpart to option #4 here. 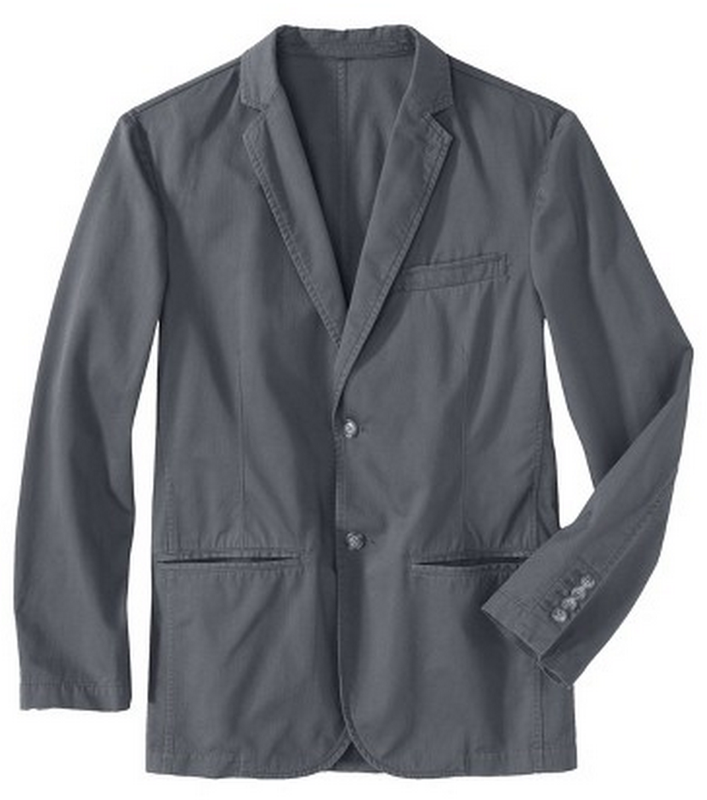 Note: Other options that didn’t quite make the cut here include this cotton chambray blazer from Express and this olive twill number. What’s your take on the above options? Any additions? And how you would style these pieces? To find the best Khaki Jackets, we spent hours pouring over all the details… We found what we were looking for, now can you? Those are really not so attractive to me. But the last one is different. I think you need to post more blazer like that one.